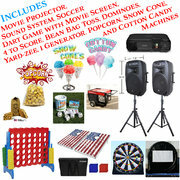 and Lakewood areas we are here to help you with your party needs. 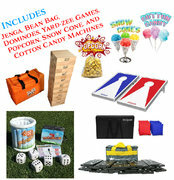 If you are planning a birthday party, graduation party, family get together or just a day of fun for the kids - Check out our package deals, we're here to help. 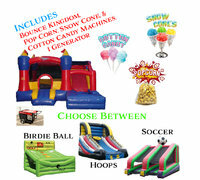 Inflatable Event Professionals can provide everything you need to keep the kids and adults happy and entertained. 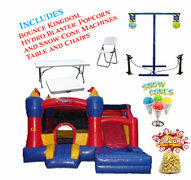 Conveniently located near Tacoma, you'll want to make sure you have everything you need for your next event. 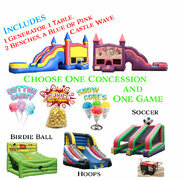 We not only have inflatables, but we also offer interactive games, concessions and a variety of other party rentals, We provide all the entertainment and fun with our bounce houses, other inflatables and additional party supplies. 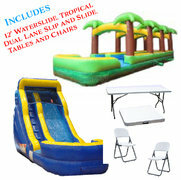 There's no need to worry with Inflatable Event Professionals. 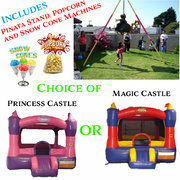 Established in 2012, you can rest assured that all of our equipment is in excellent condition. 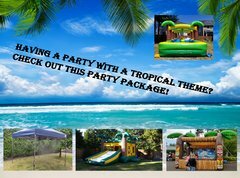 We not only deliver great looking equipment, we take great pride in making sure it's clean, safe and in good mechanical condition. 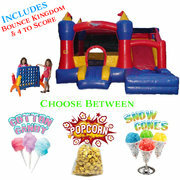 All of our bounce houses are inspected by the State of Washington and we are fully insured, so you can rest easy.